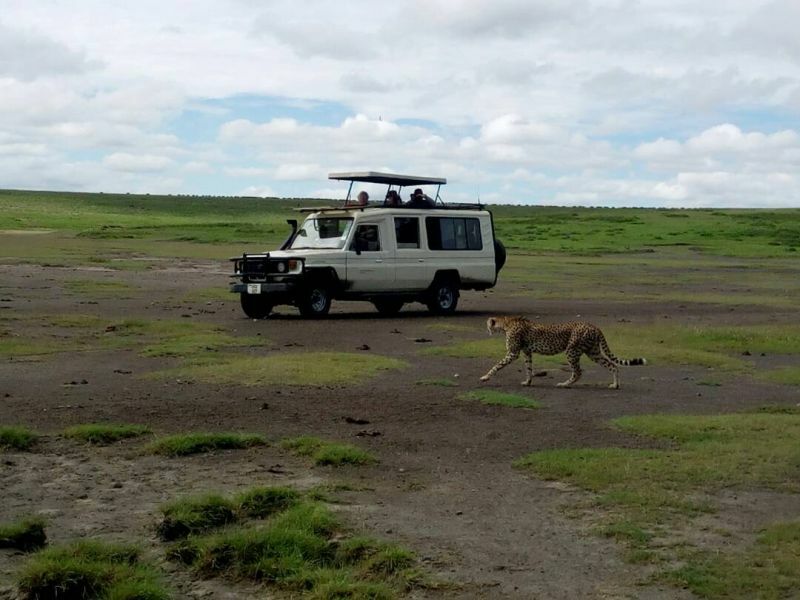 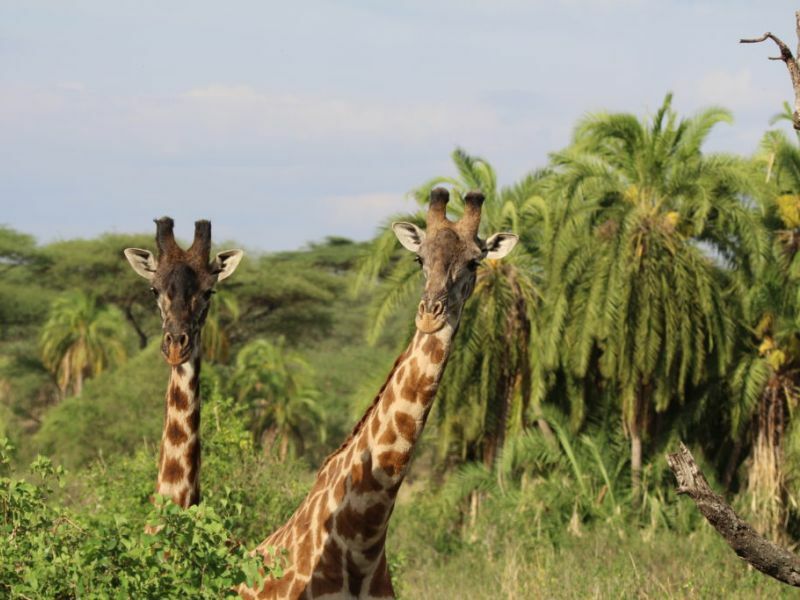 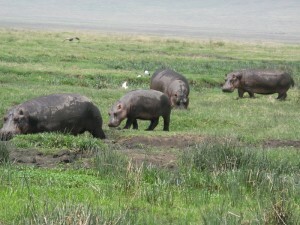 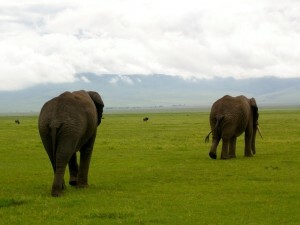 Arrive at Arusha & drive to Tarangire National Park for a game drive. 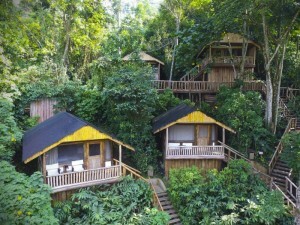 Check in at Bougainvillea Lodge or similar for a night on a full board basis. This safari begins with an early morning start in Arusha so you’ll need to stay over the night before. 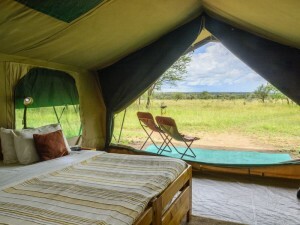 After meeting your guide, you’ll head straight for Tarangire National Park. 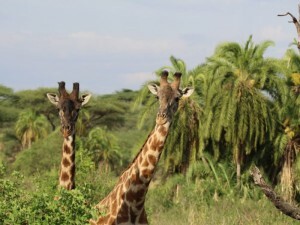 Most spectacular in the dry season when thousands of animals – and their predators – gather at the Tarangire River, the park has over 500 species of birds and the largest population of elephants in northern Tanzania. 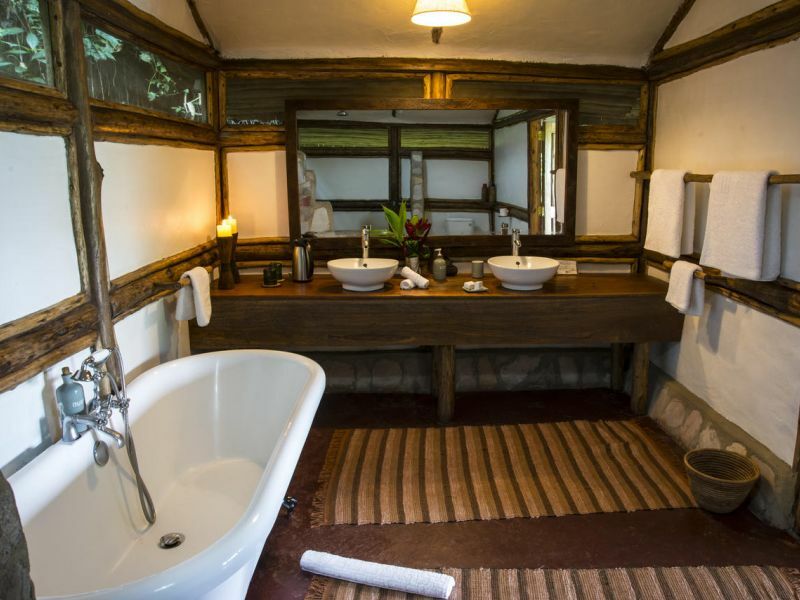 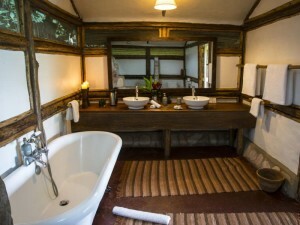 You’ll overnight outside the park at Bougainvillea Lodge, comfortably set in the farming town of Karatu in the Ngorongoro region. 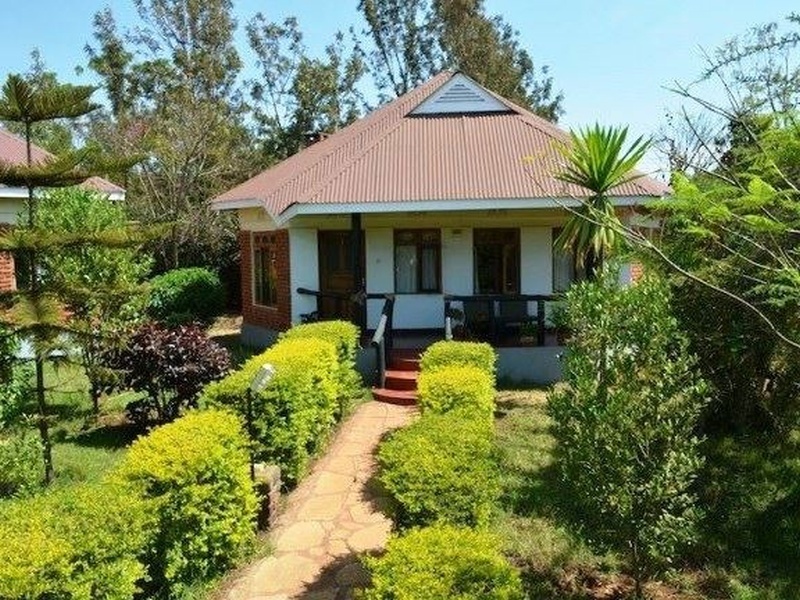 Accommodation is in stone bungalows and there’s a pool and garden to relax in too. 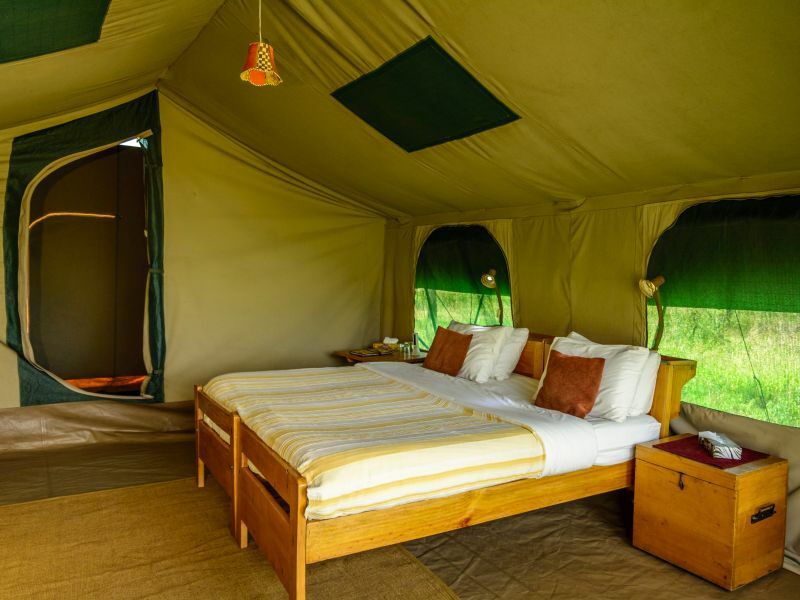 Enjoy a full day safari in the Ngorongoro Crater with a night at Bougainvillea Lodge on a full board basis. It’s off to the Ngorongoro Crater this morning. 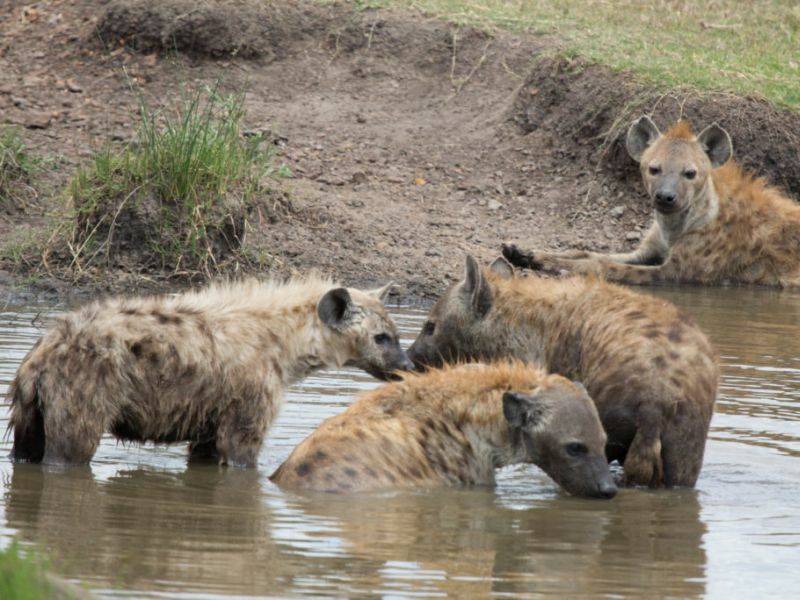 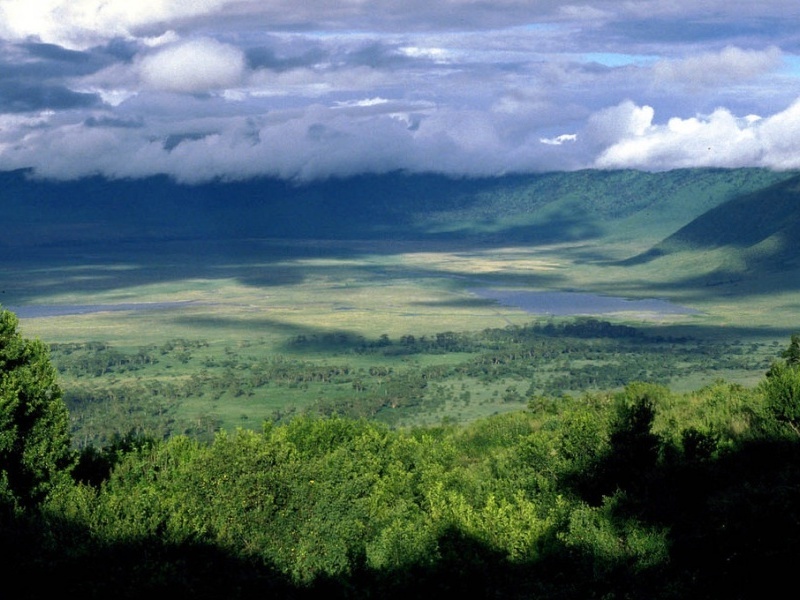 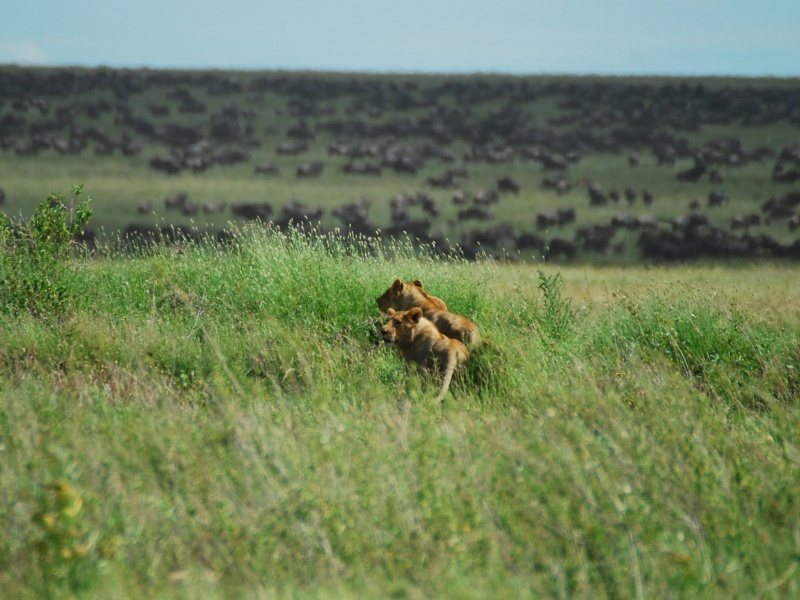 Located nearby, the crater is home to one of the densest concentrations of wildlife in Africa. 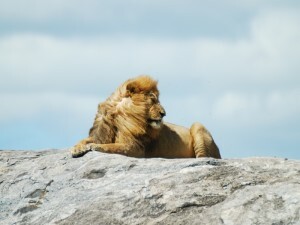 Incredibly, within its steep walls, the Big 5 – elephant, buffalo, rhino, lion and leopard – still roam. Hippopotamus inhabit the wetlands and flamingos are often seen on the crater’s soda lakes, occasionally preyed on by lurking hyenas and jackals. 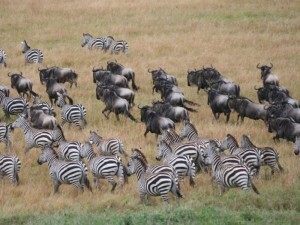 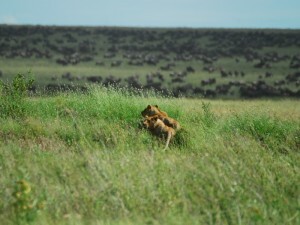 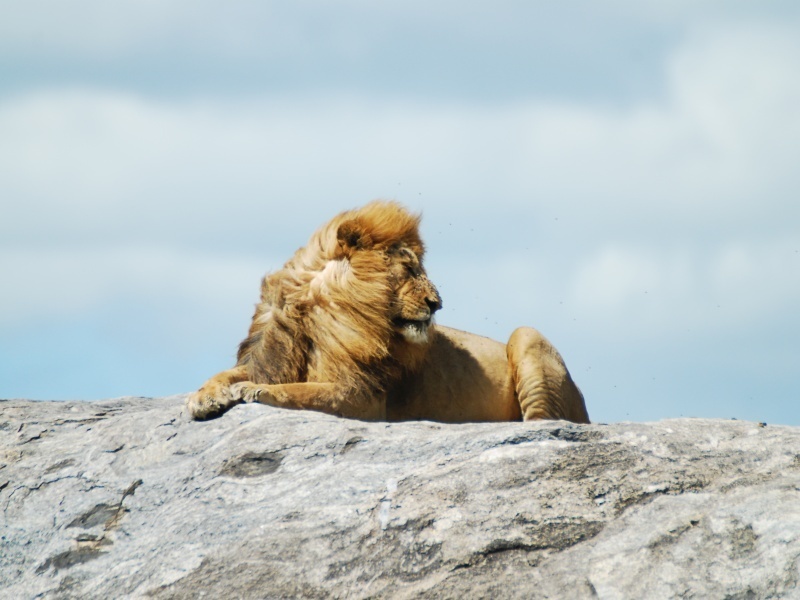 It’s a microcosm of African savannah wildlife and you may even see the Big 5 in a single day. 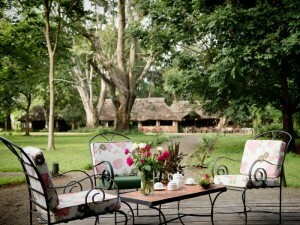 A picnic lunch is enjoyed in the crater; accommodation is back at Bougainvillea Lodge. 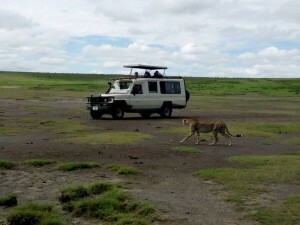 Drive to the Serengeti via Olduvai Gorge & the ‘Cradle of Humankind’. 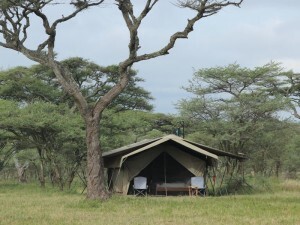 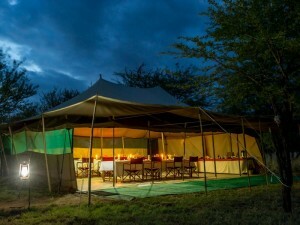 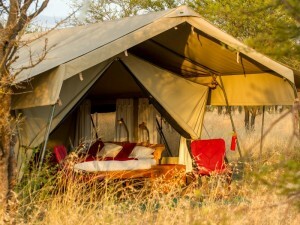 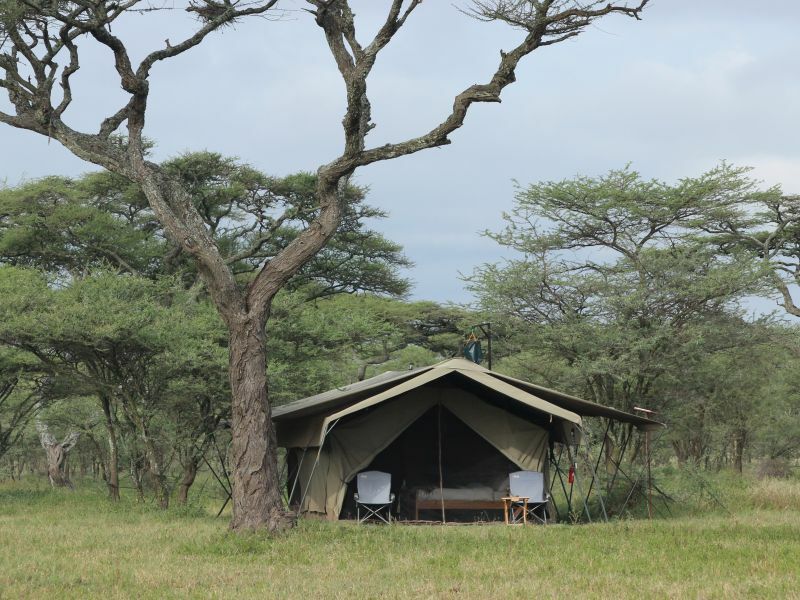 Check in at Serengeti Wilderness Camp (or similar) for 3 nights on a full board basis. 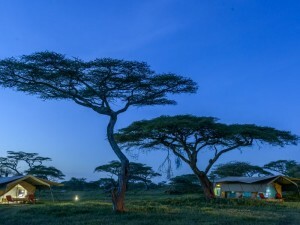 Both human and natural history are on the itinerary today: one of the world’s greatest natural spectacles – the great wildebeest migration – plus Olduvai Gorge, famous for its ground-breaking archaeological finds. 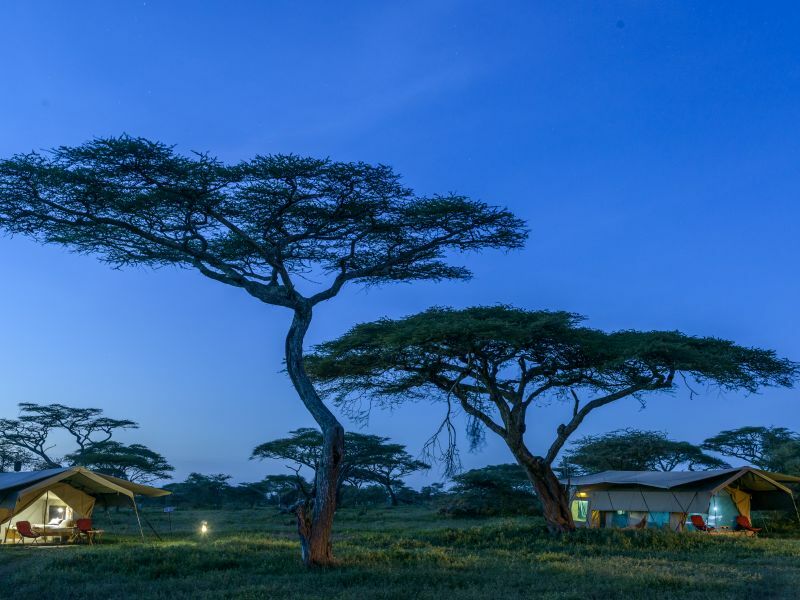 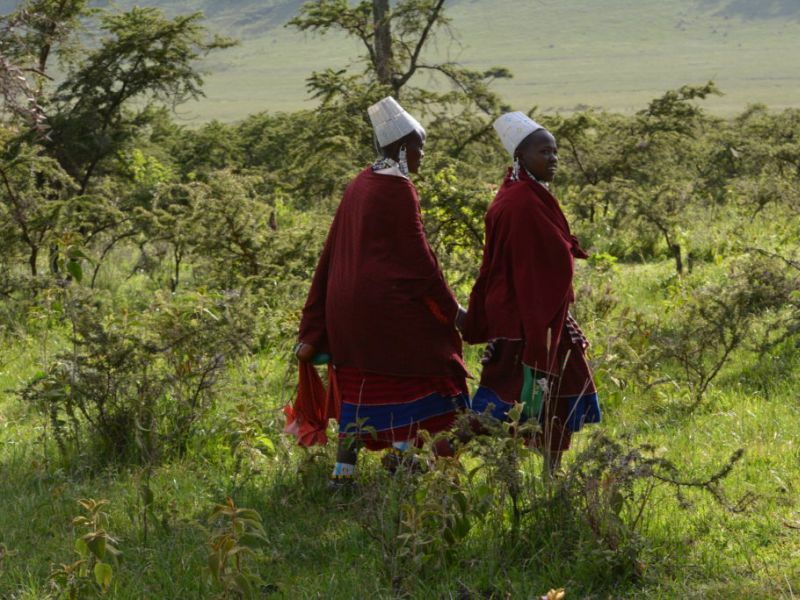 There’s time to visit a traditional Maasai village before checking in at Serengeti Wilderness Camp, or a similar camp closer to the action. And there’ll be plenty of action: over a million animals are on the move during the great migration and the Serengeti is home to some of the most exciting events such as the birthing season and river crossings. 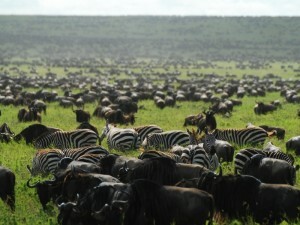 Ask us about adding a balloon safari. 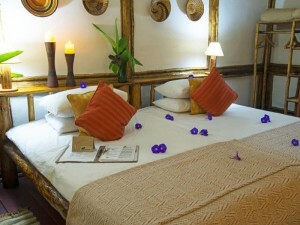 Return by road or air to Arusha & check in at Rivertrees Country Inn for a night. After breakfast you have a road transfer back to Arusha but there is also an option to fly – ask us for more information. 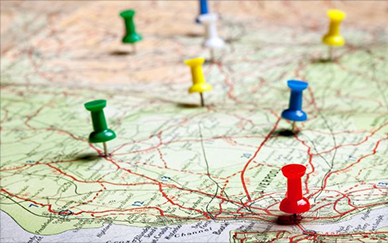 Your overnight accommodation is Rivertrees Country Inn, lying a few miles out of town and about 20 minutes from the airport. 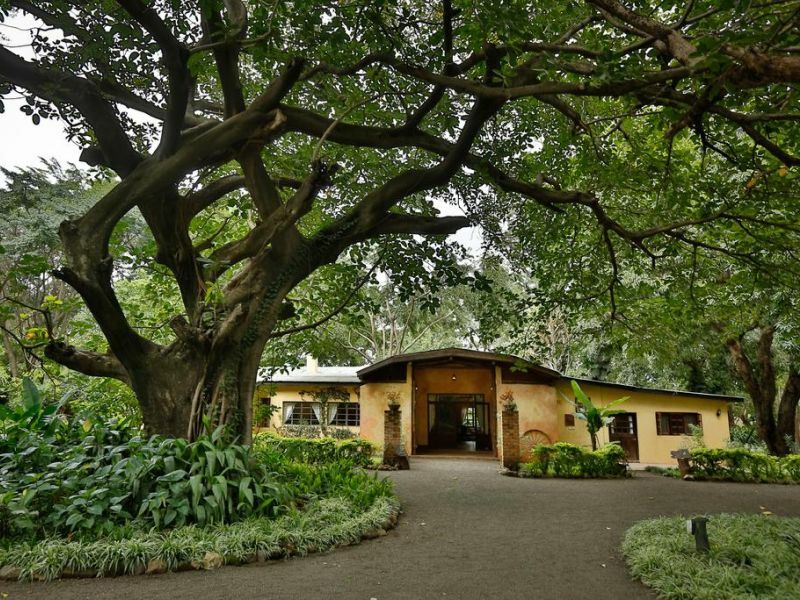 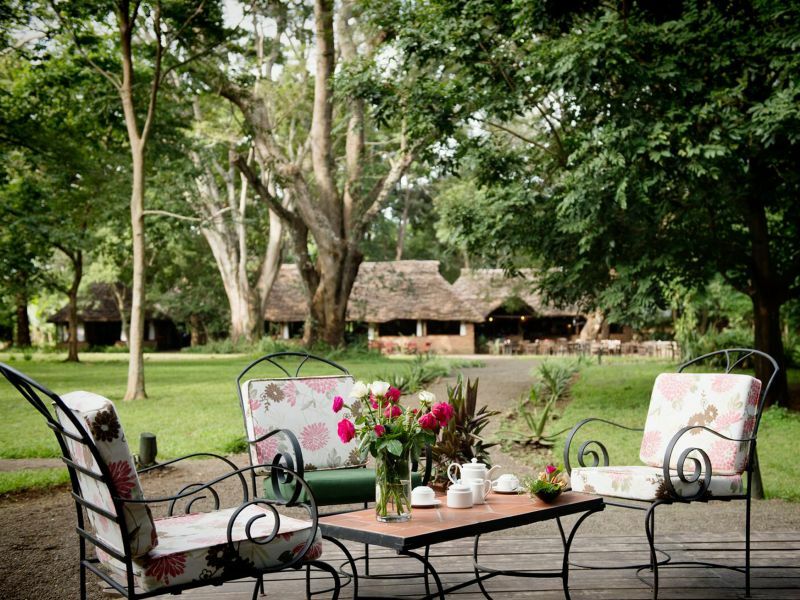 Once part of a grand coffee estate, Rivertrees Inn is an ideal place for you to catch your breath between the great migration and gorillas; it is set in lovely gardens with a swimming pool and there is a spa on site if you’d like to book a massage. The Wi-Fi access is complimentary and reliable. Fly from Arusha’s Kilimanjaro Airport to Entebbe Airport in Uganda & take a charter flight to Bwindi Forest & Buhoma Lodge for 3 nights on a full board basis. It is a flight of three and a half hours to Entebbe and another hour to Kihihi but now you are on the edge of Africa’s equatorial rainforests and deep in gorilla country. 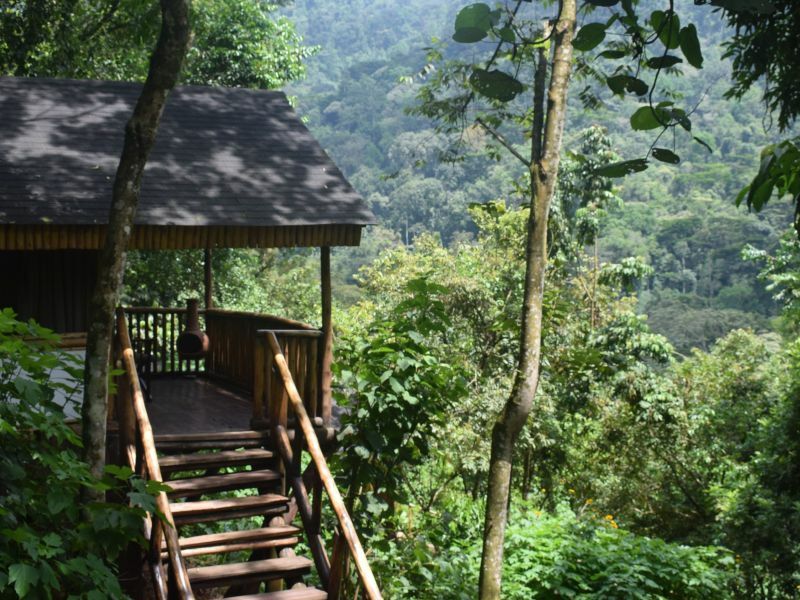 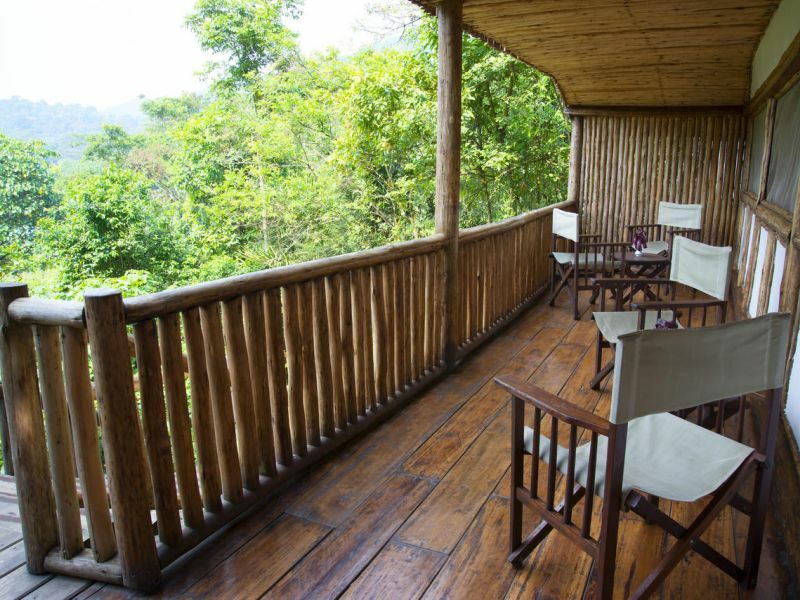 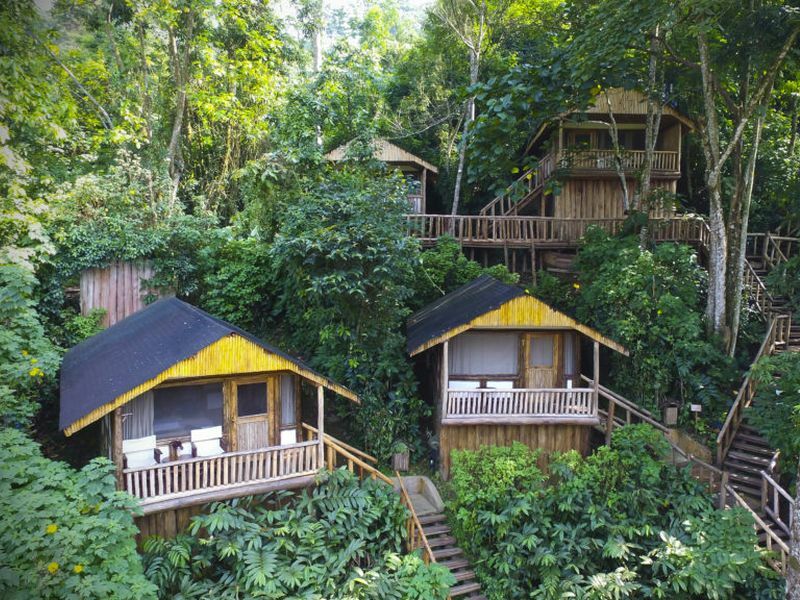 Buhoma Lodge has great views over the forest canopy and makes the perfect base for your gorilla trek the next day: it offers a complimentary post-trek massage and boot cleaning service plus a hot water bottle at night. 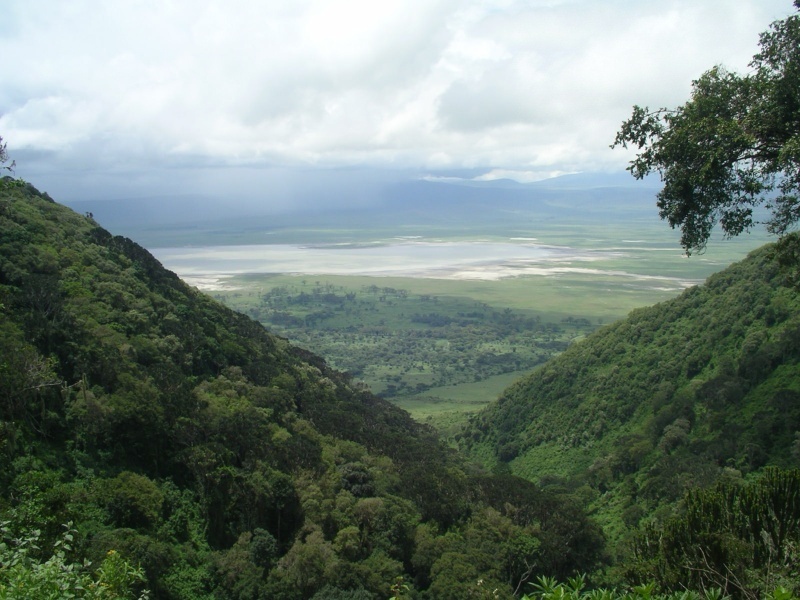 Trekking is hard and muddy work but the success rate of finding them is 95% – you can pre-purchase a second permit to use the other day just in case. 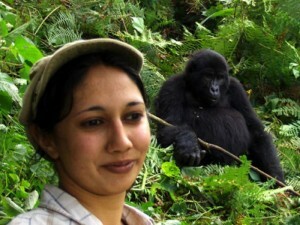 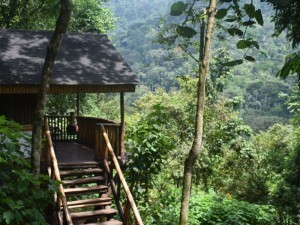 There are also jungle trails to explore and local Batwa villages to visit. 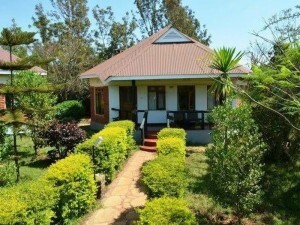 Return by air from Kihihi to Entebbe Airport for your onward travel arrangements. 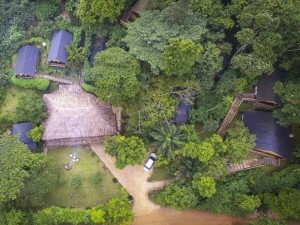 After breakfast and goodbyes at Buhoma Lodge you transfer back to the local Kihihi airstrip for a scheduled flight back to Entebbe Airport and your onward travel connection or accommodation. 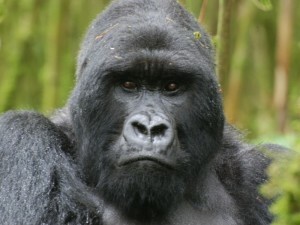 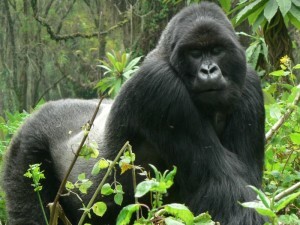 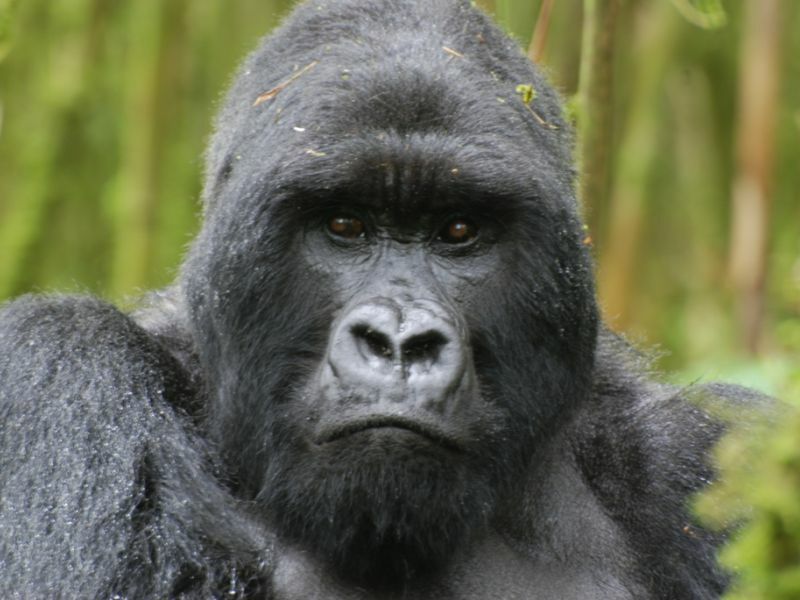 Accommodation, Meals as specified, 1x Gorilla Trekking Permit Per Person, Activities at Safari Lodges, All internal flights in Uganda, Road Transfers as specified, All Park fees, Airport taxes.